Representations of African American women in rap§music and hip-hop culture are often negative,§sexually objectifying and misogynistic. 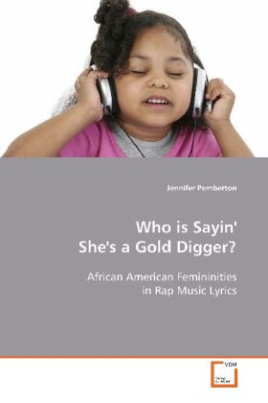 Jennifer§Pemberton systematically explores the extent to which§rap music lyrics reproduce or challenge§socio-historical gendered and racialized ideologies§of women and their sexuality through a qualitative§content analysis of lyrics on platinum-selling rap§albums. She is primarily interested in the gendered§scripts, or gendering practices, made available to§young women in the lyrics of rap music. Utilizing§feminist theories of gender hegemony and the§intersectionality of gender, race, social class, and§sexuality, Pemberton explains that hegemonic§femininity (as well as masculinity) in hip-hop§culture both differs from and is similar to the§qualities and characteristics of women (and men)§assumed to be hegemonic for the broader social§structure and/or mainstream culture. Rap music§lyrics also contain scripts for women that can be§considered pariah femininities. And, a few scripts§for women resist or challenge the hegemonic gender§order in hip-hop culture. Bitte schreiben Sie uns Ihre Meinung zu: Who is Sayin' She's a Gold Digger?